Laissez Les Bon Temps Rouler as Eureka Gras returns for 2017! The 12th annual Eureka Gras Mardi Gras Extravaganza kicked off on January 7th with the Kings Day Kick-Off Gala and signifying the start of a great Eureka Springs annual festival. 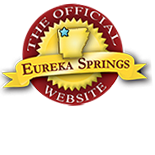 This entry was posted on January 25, 2017 by service424 in Arts & Culture, Basin Park Hotel, Crescent Hotel, Eureka Springs Lodging, Family Fun and tagged Ball, Erueka Gras, Eureka Springs, festival, Mardi Gras, parade.